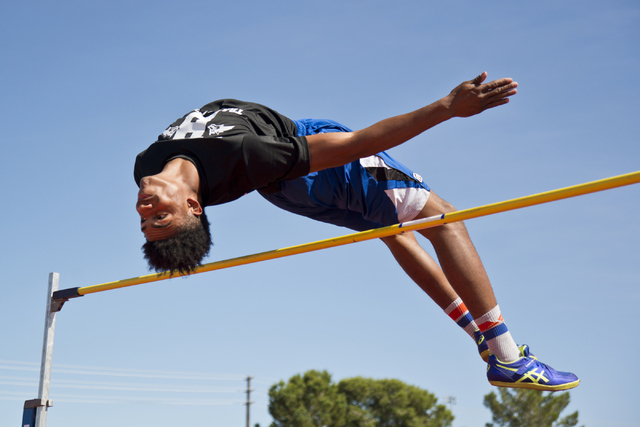 Basic’s Frank Harris, whose mark of 7 feet, ¼ inch is tied for fifth in the nation this season, according to Athletic.net, will look to improve on that accomplishment Saturday in the Division I Sunrise Region meet at Del Sol. Frank Harris smiled, prayed and then took a victory lap around the Basic High football field just eight days ago. 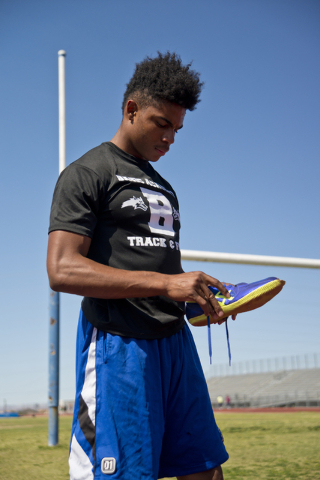 The 6-foot-3-inch standout was celebrating a feat that most high school jumpers only dream about. He had just cleared the 7-foot barrier in the high jump. “I went home to my dad and was like, ‘Dad, I’m jumping over LeBron (James) by like 4 inches,’” said Harris, who sailed over 7-0¼ on his final attempt in the three-team home meet. 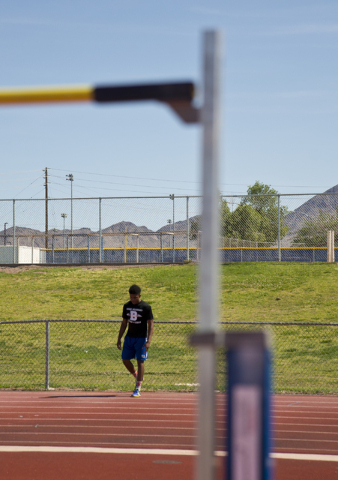 The junior, whose mark is tied for fifth in the nation this season, according to Athletic.net, will look to improve on that accomplishment Saturday in the Division I Sunrise Region meet at Del Sol. The Sunrise and Sunset Region meets begin at 8 a.m. with track preliminaries and finals in some field events, including the boys high jump. 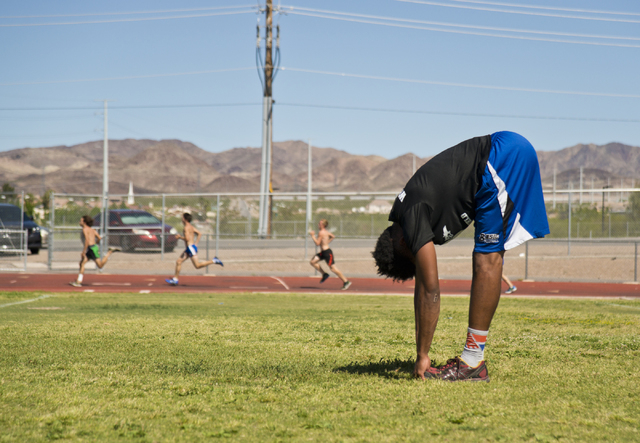 The second day of both region meets is May 14 at Del Sol. 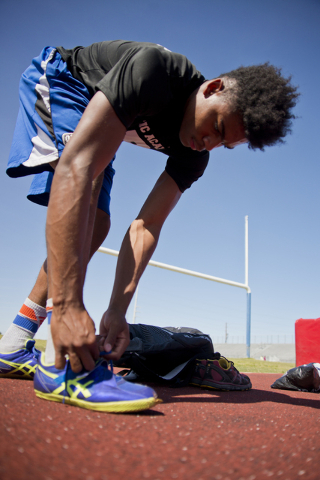 Harris, the defending state high jump champion, will be competing in his first meet since setting a personal record. His previous best was 6-11, a mark he cleared April 5 in a dual meet with Green Valley. 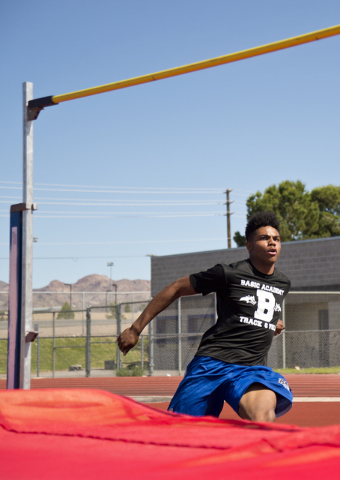 The second-highest jump in Nevada this season belongs to Galena’s Quintin Mills, whose best mark is 6-7. Coronado’s Garrett Furlong and Silverado’s Elijah Toussaint are tied for second in Southern Nevada at 6-6. 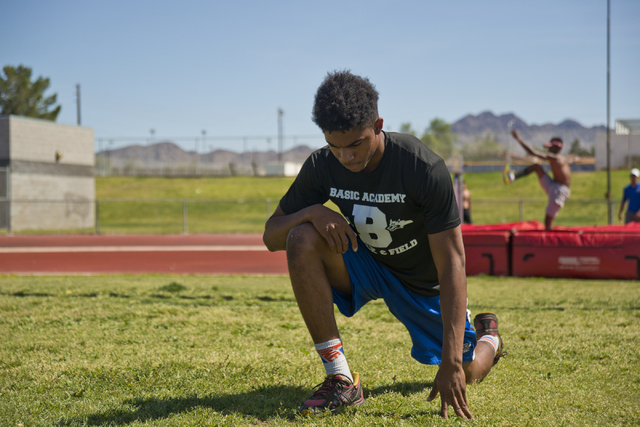 In three years on varsity, Harris has improved his top jump every season by at least 4 inches. As a freshman, he cleared 6-4. Then, as a sophomore, he won state with an effort of 6-8. Basic coach Duane Graham doesn’t see that pattern coming to an end. 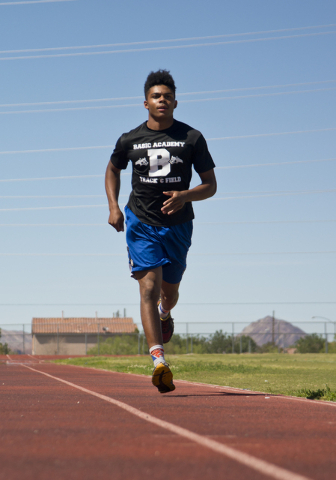 He called Harris “the best athlete” he’s seen in eight years with the program. Graham said the big stage this weekend probably will benefit Harris. 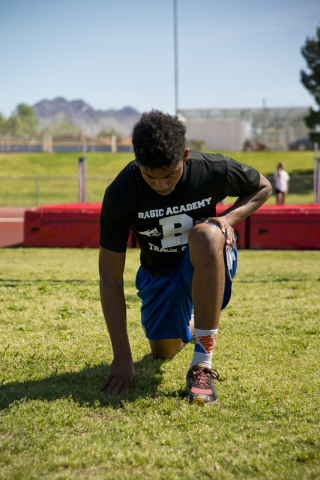 Harris, who also plays football and basketball for the Wolves, is receiving interest from Brigham Young, Liberty, Montana, Oregon, Oregon State, San Diego State, Stanford, Michigan and Yale.